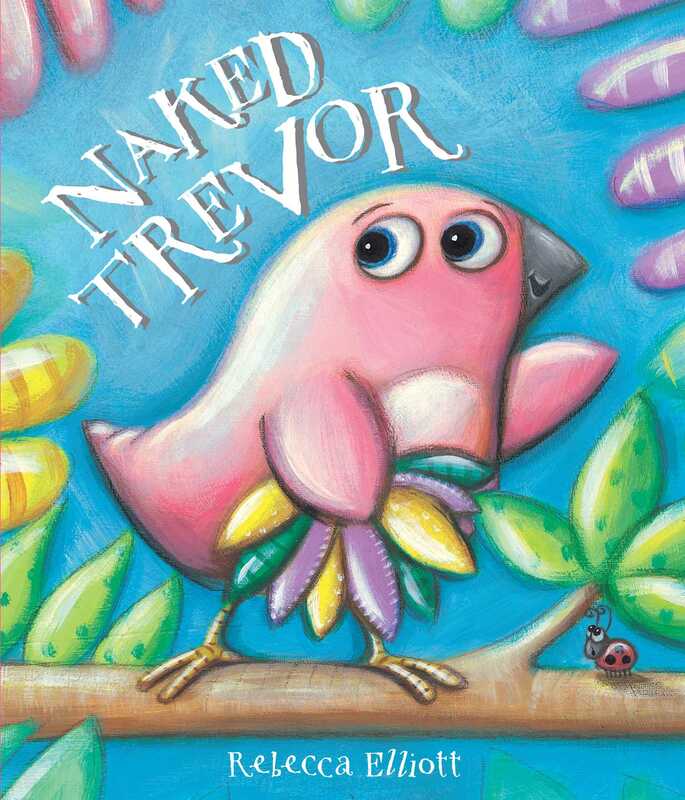 Naked Trevor is a beautiful jacketed picture book about a "naked" bird who tries to find the perfect outfit. It’s a well-kept secret that all birds are naked, and every morning they put on their feathery clothes to go about their day. But Trevor refuses to wear his sparrow outfit, much to the horror of his family. In a quest to find his own unique look, he crashes into a pile of sticky mud and colorful flowers. He ends up looking the best he ever has, inspiring the birds around him to shed their own boring outfits!